There are certain things WWE must deliver at WrestleMania 35 to make it special! Elimination Chamber came and saw Daniel Bryan retain his WWE Title against Kofi Kingston, Randy Orton, Samoa Joe, Jeff Hardy and AJ Styles, Sasha Banks and Bayley become inaugural Women's Tag-Team Champions and Finn Balor deservedly win championship gold. Now WWE will be setting its sights towards Fastlane in three weeks, and after that, the 'Road to WrestleMania' begins its final stretch before we're at 'The Showcase of the Immortals'. Currently set for WrestleMania 35 are the Universal Title match between Seth Rollins and Brock Lesnar and the Raw Women's Championship match between Ronda Rousey and Charlotte Flair. 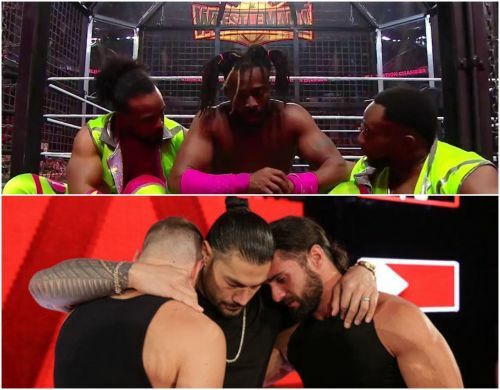 Whilst Elimination Chamber certainly had its ups and downs, especially during that tense final part of the WWE Title Elimination Chamber Match that saw the crowd get firmly behind Kofi Kingston, WrestleMania will be wanting to give the WWE Universe as many patented 'Mania moments as possible. So, what 'Mania moments do we want to see? I've compiled a list of the 5 WrestleMania moments the WWE absolutely must deliver if WrestleMania 35 is going to go down in history books as one of the best! At the moment 'The Man' finds herself suspended from WWE until after WrestleMania, with Charlotte taking her place in the Raw Women's Title match that she earned by winning the Rumble. Read also: Why the Triple Threat match at WrestleMania with Becky Lynch, Charlotte Flair and Ronda Rousey is the only thing that makes sense! However, that didn't stop Becky Lynch, who's knee was was storyline re-injured by Charlotte at a house show, from turning up at Elimination Chamber with crutches and going to town on Charlotte with them. Ronda Rousey also felt the wrath of Lynch's weapons, even getting busted open in the process. 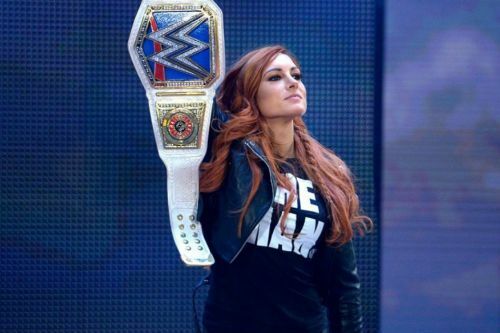 People were horrified at the decision to take Becky out of the match, but it's clear they're going all in on the 'Lasskicker' and are giving her a Stone Cold-esque build towards that 'Mania main event moment that everyone wants to see!